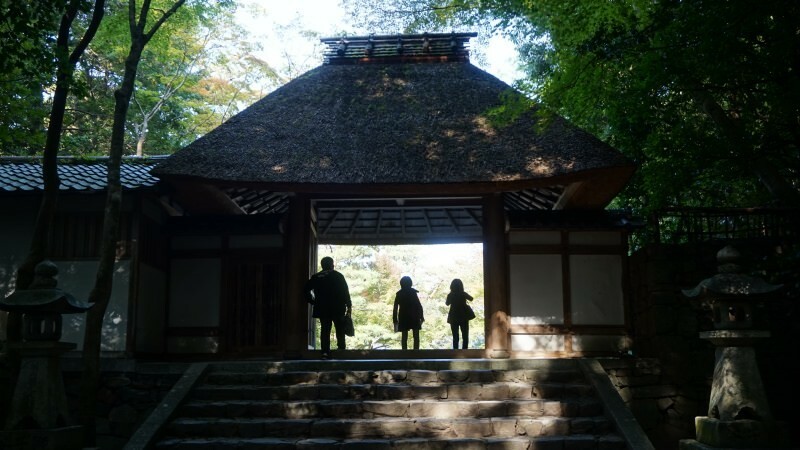 When most of us hear the word Kyoto, we think of temples and shrines. There are both famous and not-well-known temples, from big ones to little cozy ones. In this article, you can find out the best 20 temples and shrines in Kyoto chosen by Sharing Kyoto’s writers! This temple is in the Higashiyama area where there are many historic temples and shrines like the famous Yasaka Shrine. The reason for this temple’s popularity can be found in the quiet atmosphere, the modern paintings on the sliding doors, and in the regularly held illumination events. 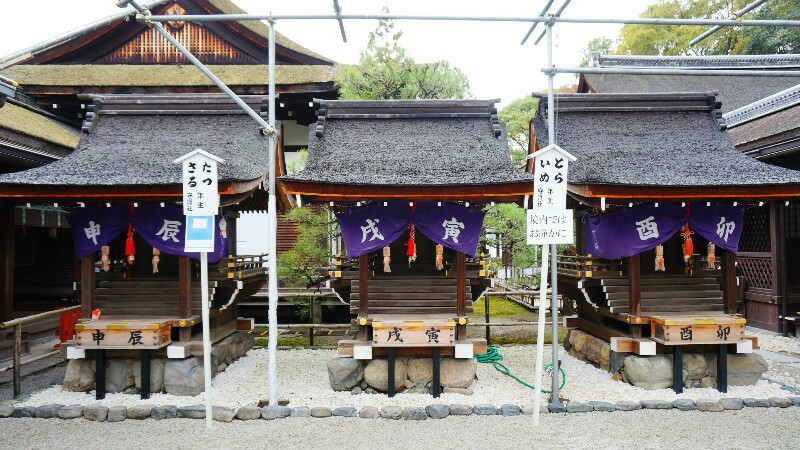 Shimogamo Shrine is a shrine with a long history, and it has even been designated as a World Heritage Site. The vast shrine is always quiet, and walking on the white pebbles of the shrine always makes you feel refreshed. There are also smaller shrines for each of the Chinese zodiac signs, so you can pray at the shrine dedicated for your zodiac sign! Unryu-in Temple is known as a place where you can have a different temple experience. 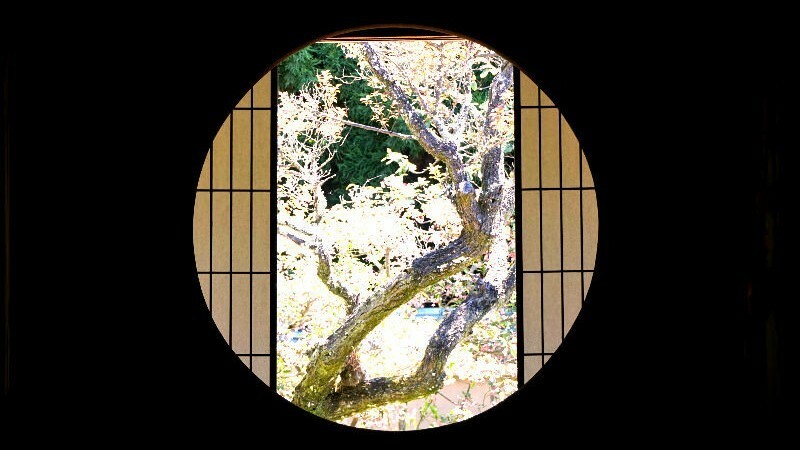 You can spend a quiet, contemplating moment at the temple looking out from this round window at just one part of the garden, makes for a charming way of spending the day. 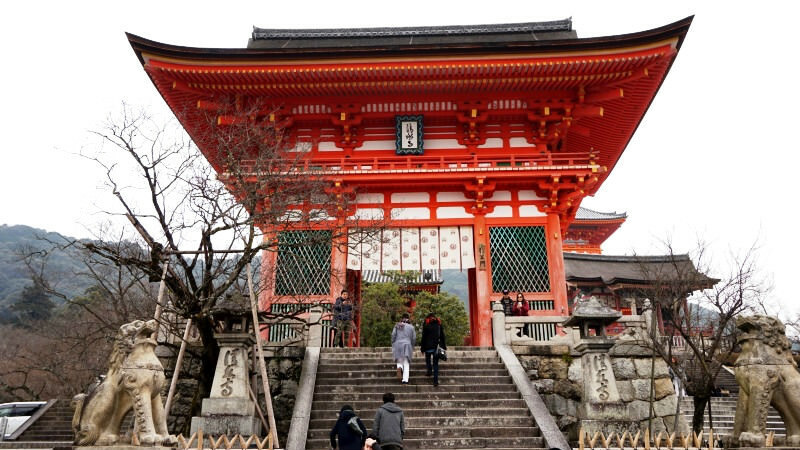 If it is your first time to Kyoto, you probably want to go to Kiyomizu Temple. The view you get from the stage of Kiyomizu Temple is something you need to see at least once. The temple is right now under renovation work so the view from the stage is obstructed by wooden scaffolding, but the scale of the temple is something that will surely stop you in your tracks. 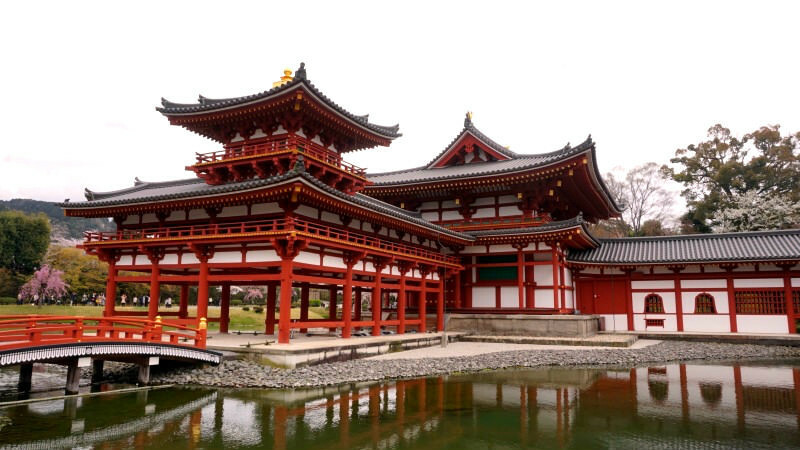 Byodo-in Temple is what Uji is famous for. On a fine day you can clearly see the vermillion Phoenix Hall reflected on the pond. Gio-ji Temple is a small quiet temple located in a remote area of Sagano. The temple is known for its moss garden which is one of the most beautiful in Kyoto. 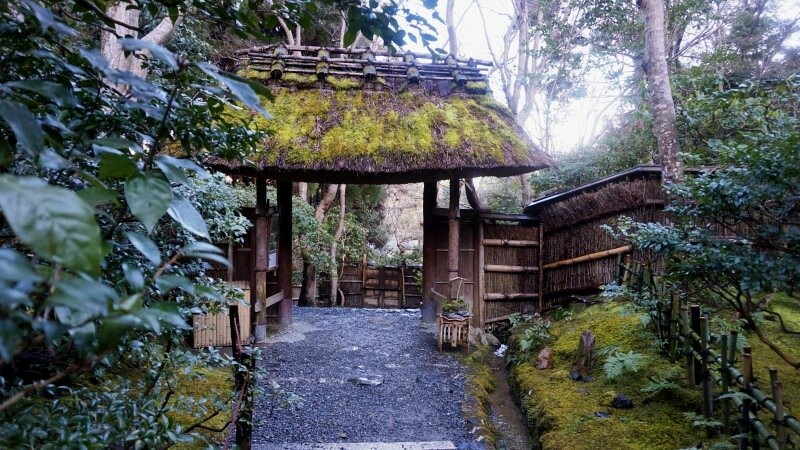 The moss is meticulously taken care of, and at the temple you can find beauty in the whole simplicity of it all. 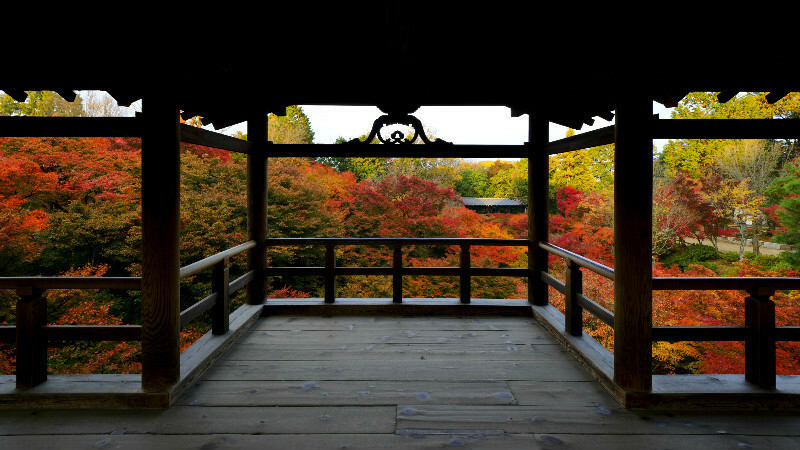 Eikan-do Temple is famous as a great place to see the autumn leaves. There are around 3000 maple trees on the premises and when in autumn their leaves turn red the sight of it is unbelievable. Of course, you can always enjoy a quiet walk at the temple, even if there are no autumn leaves. This peaceful temple is located close to the famous Ginkaku-ji Temple, but Honen-in Temple is a gem out of the beaten path. After you go through the gate with a thatched roof, you get to a path surrounded by trees. The temple is enveloped in an atmosphere of subtle grace, and I’m sure you will feel refreshed. Shisen-do Temple is in the Ichijoji area of Kyoto, and it was built in the beginning of the Edo period as a quiet mountain retreat. I want to recommend the garden with its white pebbles, it will make you forget all about what time it is. This relaxed temple in the outskirts of Kyoto, in Ohara, is surrounded by greenery. 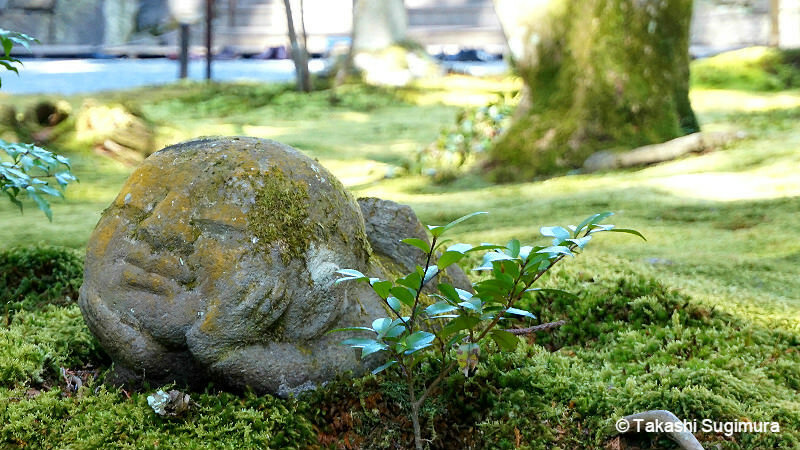 The beautiful moss of the garden and the Jizo statues with their cute poses are something you have to see. Here you can get away from the hustle and bustle of your everyday life and relax. 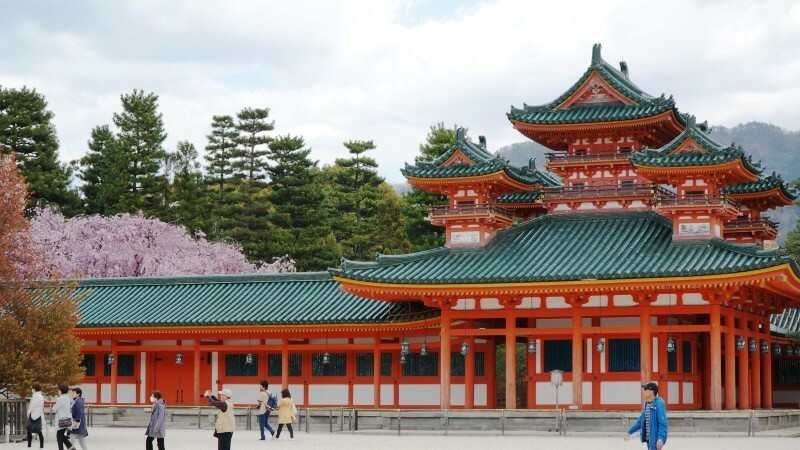 Nonomiya Shrine is in the popular sightseeing area of Arashiyama. 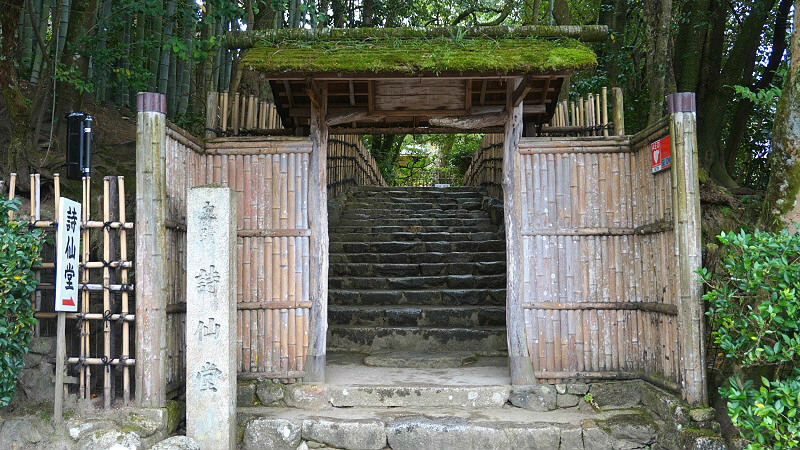 This shrine is small, but it is right by the Bamboo Forest so it is easy to find and for this reason very popular. 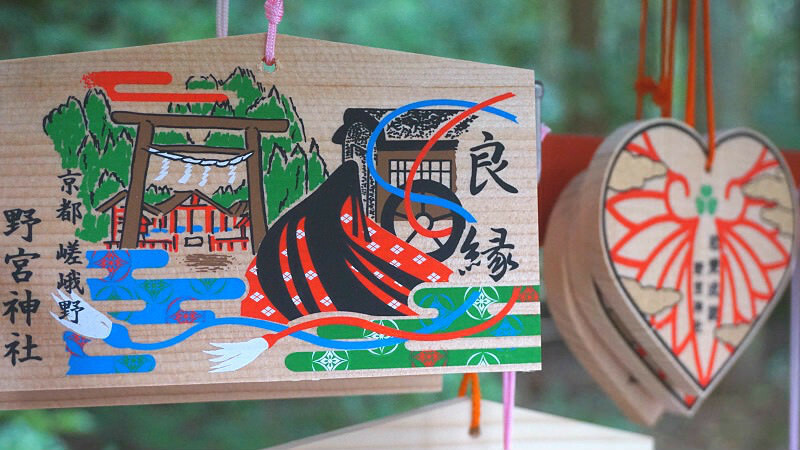 It is famous as a place where you can improve your marriage luck, and they have many ema wooden plaques and amulets related to this. Ryoan-ji Temple is so famous for its rock garden that it has even been designated as a World Heritage Site. The mystery of this garden is in that there are 15 rocks, but no matter from where you look at the garden you can only see 14 at one time. Kurama Temple is on the beautiful Mt. Kurama. The temple grounds are rather vast, and because it is on Mt. Kurama, the area around it is also great for hiking. I’m sure you will be awe-struck by the main hall if you enjoy the clean mountain air and take the hike up the mountain. This temple close from Randen Arashiyama Station is also a World Heritage Site. 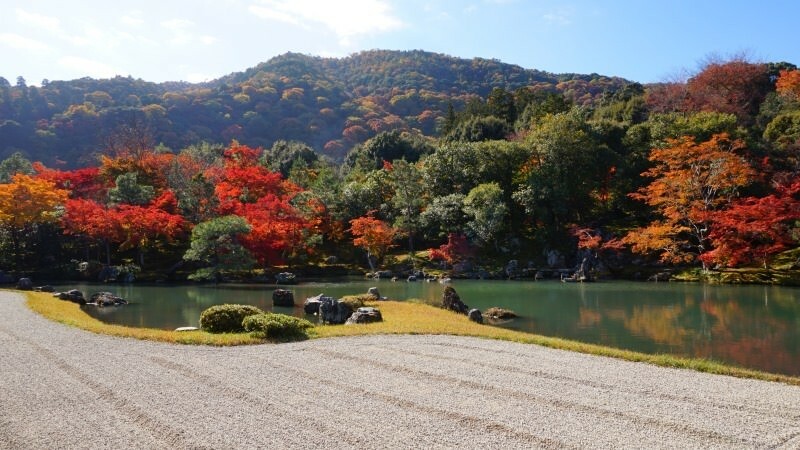 The beautiful balance of the white pebbles, pond, trees, and the mountains of Arashiyama that are used as a background of the chisen kaiyu shiki-style garden, make the scenery look especially beautiful. 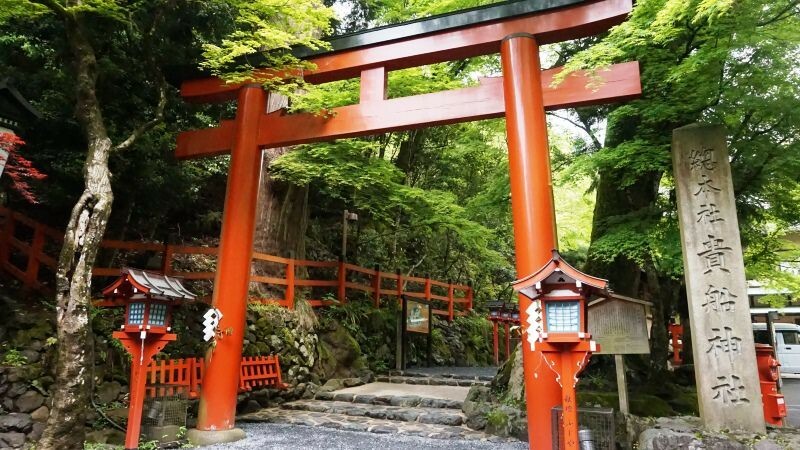 Kifune Shrine is famous for the path leading up to the shrine lined with red lanterns. But besides this, they also have interesting fortune slips and actually the shrine is in three parts so there is a lot to see. This shrine enshrines the god of water, and the nature around it is, as expected, beautiful, and will purify your heart. They also regularly hold illumination events. 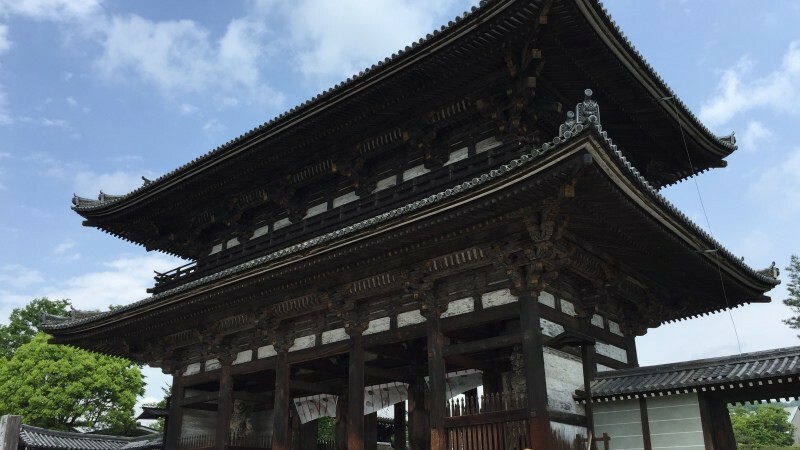 Ninna-ji Temple has a history of over 1000 years, and it is also registered as a World Heritage Site. Ninna-ji Temple is known for its cherry blossoms and autumn leaves, which is why many people head to this temple in spring and autumn. Tofuku-ji Temple is famous for the autumn leaves you can see from the Tsutenkyo Bridge that looks almost like a red and yellow carpet. I want to especially recommend the autumn leaves season for your visit, but the time before the leaves turn red, when they are still green is also a nice time to visit. 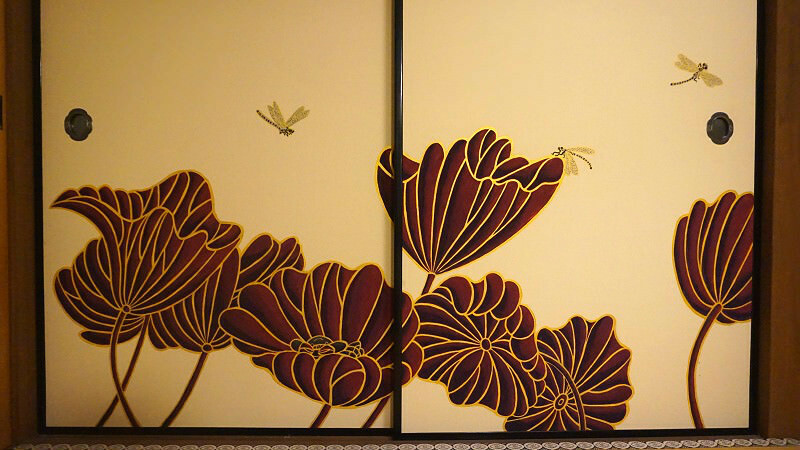 Besides the leaves, also remember to take a look at the garden that is an artwork in itself. 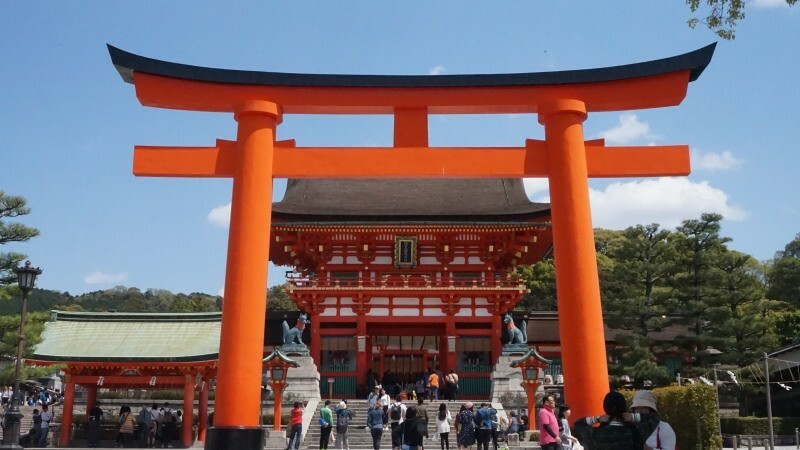 When talking of Kyoto, you cannot leave out Fushimi Inari Shrine. The Senbon Torii with thousands of red torii gates is all too famous. I hope you will enjoy hiking on Mt. Inari on a fine day. The big Taikyokuden hall of the shrine that is across the white stone court is awe-inspiring. Even though there are many cafes and art galleries by the shrine, Heian Shrine is still the thing your eyes pick out first in the Okazaki area. The Shin’en Garden of the Heian Shrine, although for an entrance fee, is a place that has to be seen. 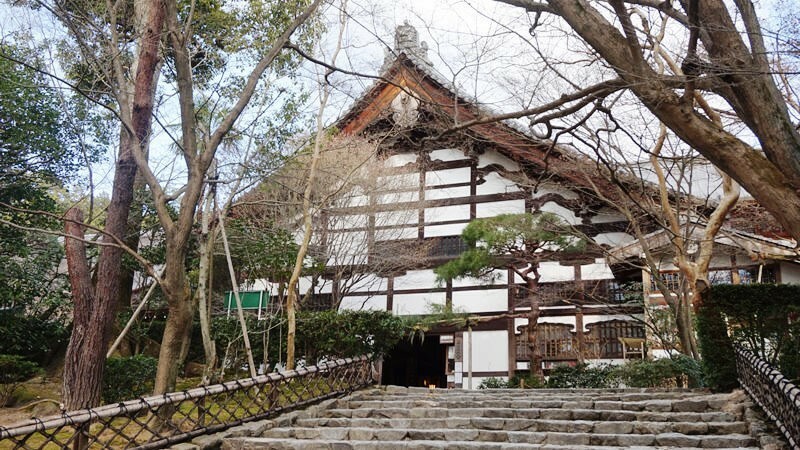 In our list of best 20, the one to get the joyous first spot is Nanzen-ji Temple. 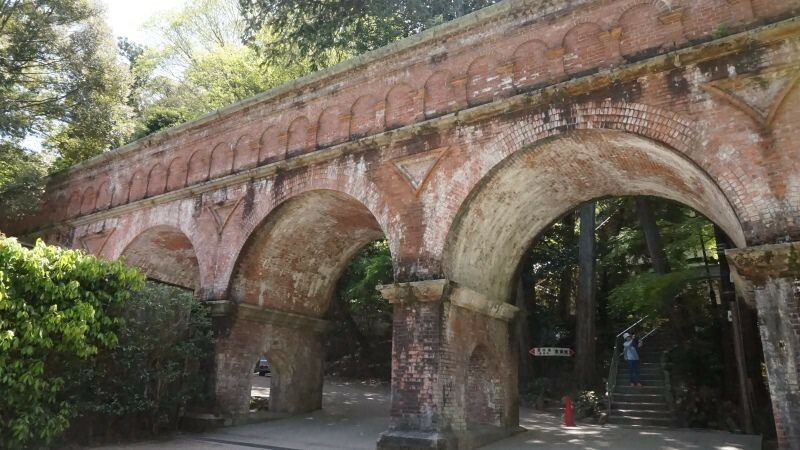 At the temple you can find the huge Sanmon Gate, a great many verdant trees, and this Suirokaku-aqueduct made of brick. The almost modern feel of this aqueduct compared to the temple goes well with the more traditional look of the other buildings there, and because of this you will never get bored of Nanzen-ji Temple. The area of the temple is vast, so you can take your time to walk around it and take pictures. 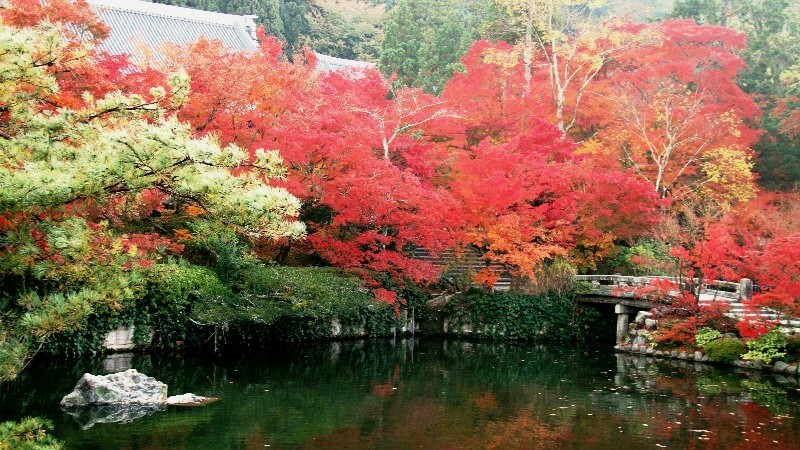 This temple is known as a great place to see autumn leaves, but it is a great place to visit no matter the season. 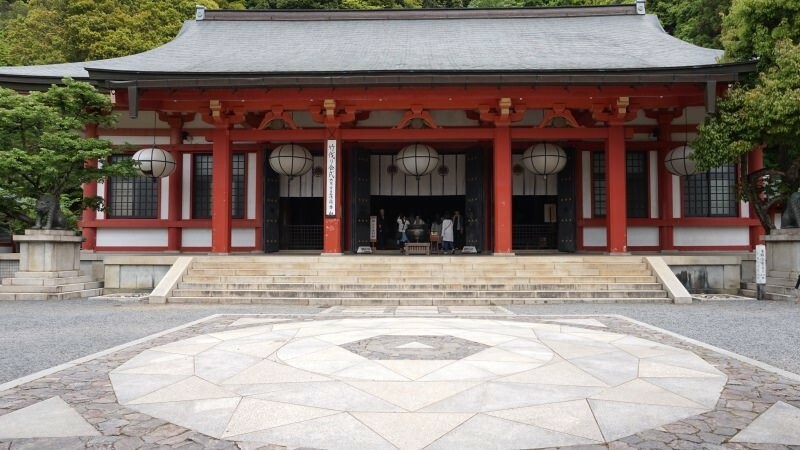 These are the best 20 temples and shrines in Kyoto, chosen by us here at Sharing Kyoto. I hope you will visit them in the near future!